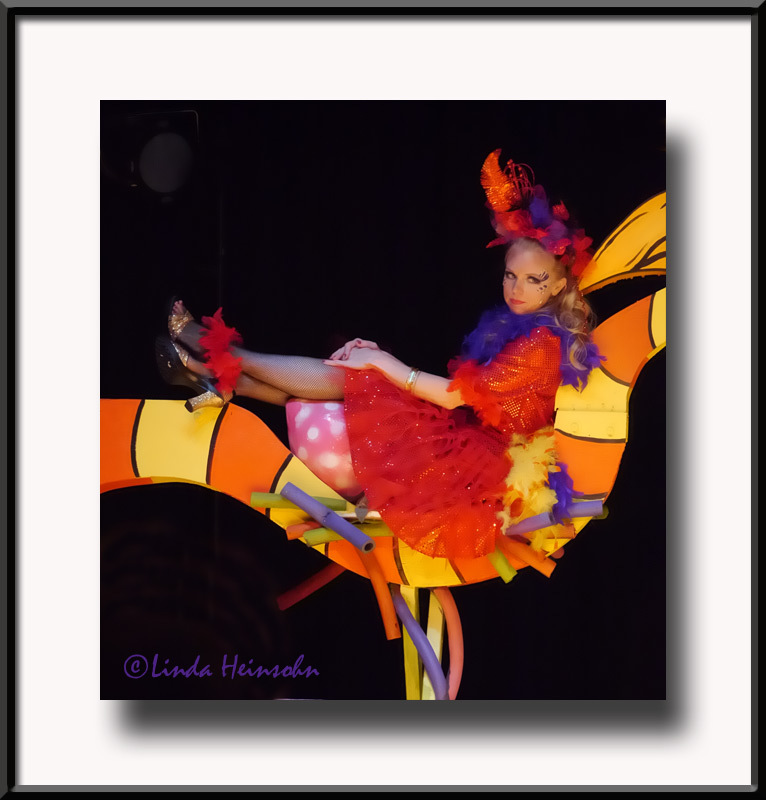 My daughter, Joanna, as Maizie LaBird in her church's musical production, Seussical. Last night was SRO to an enthusiastic audience. 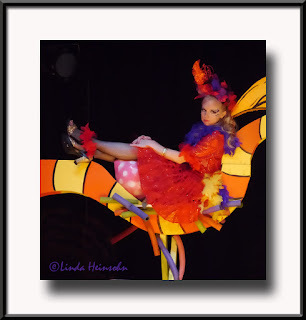 Joanna's standout performance of the flighty and egotistical Amazing Maizie was the rave of all the little girls watching the show! Amazing portrait! Love the look, colors, lines, everything about this. Congrats to Joanne & the other's for what sounds like a terrific performance.